It’s great to hear how all the gourd seedlings are getting on around the region. Some are still in pots and others are planted out and growing vigorously. Gourd plants need room to spread and grow strong roots, and they need plenty of water and rich soil. If the plants are kept in pots, they will have restricted growth. For the best results, get all those seedlings planted out as soon as possible! Now that summer is here, regular watering may be needed. Keep an eye on your gourd plants. If the leaves look wilted, soak the soil around the base of the plant with plenty of water, and the leaves will soon recover. 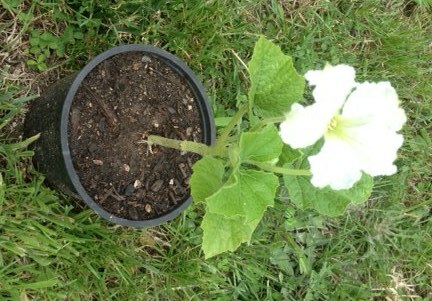 This gourd planted by the Fisher family from Aramoho Playcentre is now flower and looking very beautiful! 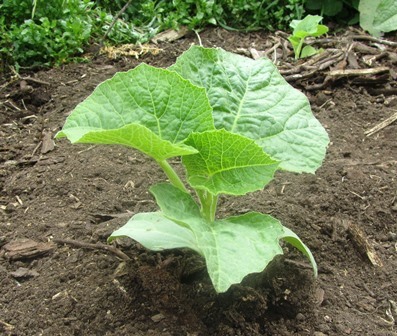 December weather in Whanganui has been warm and wet so far; excellent growing conditions for gourd plants. Tender young plants need protection not just from slugs and snails, but also from wind and birds. 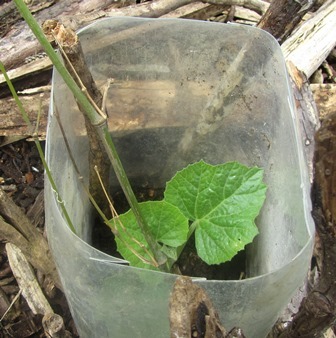 An effective plant-shelter can be made for each gourd-plant using a 2-litre drink container. Just cut off the top and bottom, sit it around the plant, and hold it in place with a few sticks so the wind doesn’t blow it away. These shelters stop blackbirds and other birds from digging up the plant. When the gourd-plant outgrows the space, pull out the sticks and lift the shelter off. You can re-use the shelter on another seedling, or recycle it. Get Your Gourds Into the Garden! Spring has been and gone here in Whanganui, with the usual flurries of rain, wind, sun, rain, wind, sun. December has brought beautiful warm sunny weather, with regular rain; perfect growing conditions for gourds and other summer annual plants. After a long delay, our biggest and healthiest gourds have been planted outside. Not all the gourd seeds have sprouted, which is disappointing. Even more disappointing for some gourd-growers, is the little tender plants that have been eaten up by slugs and snails. 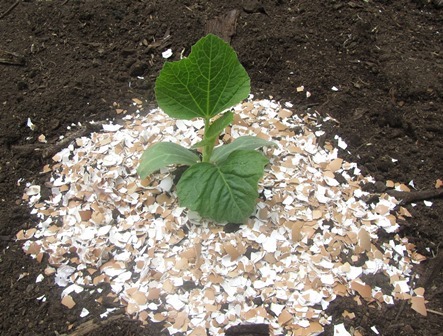 If you don’t want to use a poisonous slug-bait, one suggested method to keep slugs and snails away is a mulch of crushed egg-shells, which are sharp against soft snail bodies. Will this work? I’m not at all sure, but it doesn’t do any harm to try it.